Hi, there. How are you today? I woke up and felt the need to bake – it’s been too long. 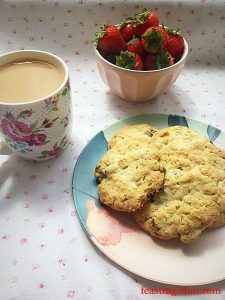 As soon as I checked my blog posts I realised it’s been ages since I have posted a cookie recipe. 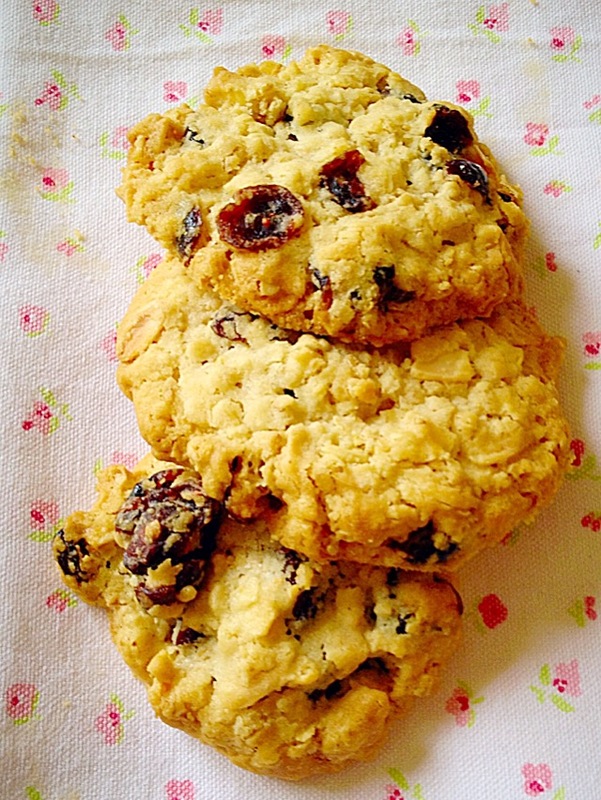 So, today I bring you my Cranberry Oat Cookies. 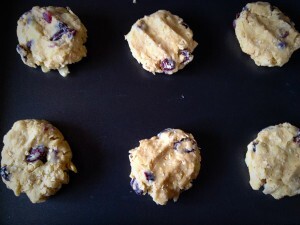 Although I haven’t posted a new recipe since my last Cookie post, that doesn’t mean I have abstained from baking cookies. Rather it means I’ve baked Cookies I’ve already posted. Confused yet? 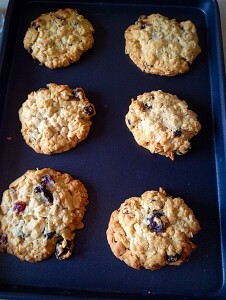 So I baked a batch of Cranberry Oat Cookies. I think these may be my favourite Cookies today! As a result of a mash-up of two previous recipes I’ve posted – Almond And Cranberry Cookies and Apricot Oat Crumble Cookies I created a new recipe. Since I really fancied Cranberries, Oats and Almonds I made these new cookies, throwing in all the ingredients hoping they would turn out ok. Oooh they are so much more than ok they are scrumptious. 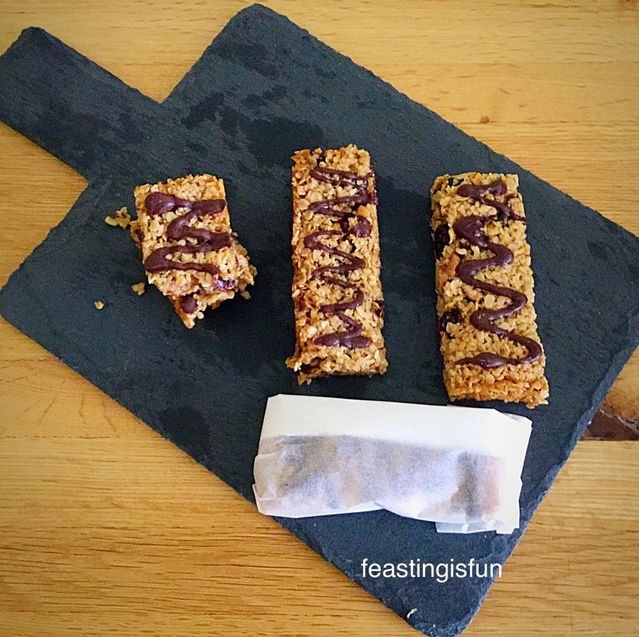 First of all, unless using non stick, line 2 baking trays with baking parchment. Into a large bowl add the butter, sugar and salt. 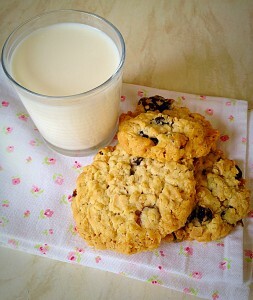 Beat together until pale and fluffy – I used an electric whisk, a stand mixer with the paddle attachment fixed is fine. Add the egg yolk and vanilla/almond extracts and thoroughly mix in. Next add the flour, oats, cranberries and flaked almonds. Mix until just combined. Take about a heaped tablespoon of the Cookie dough and roll into a ball using your hands. Place the Cranberry Oat Cookie dough balls onto the baking tray. Using your fingers gently press down to lightly flatten them. 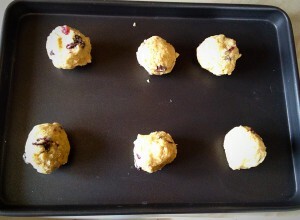 Place the cookies into the middle and lower part of the oven. 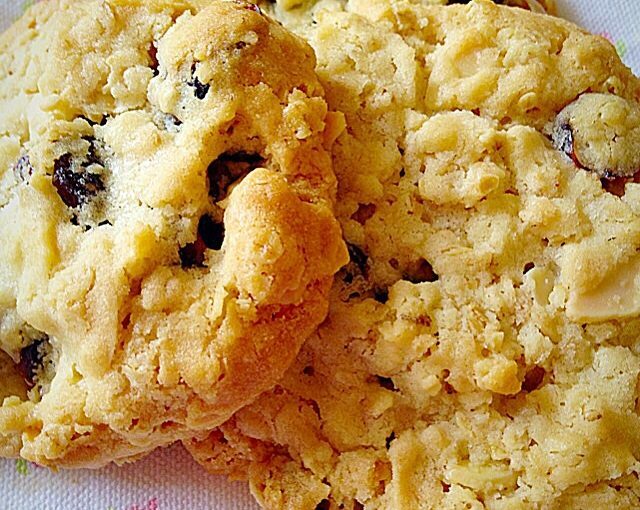 As soon as the cookies are golden, remove from oven and allow to fully cool on the baking sheets. 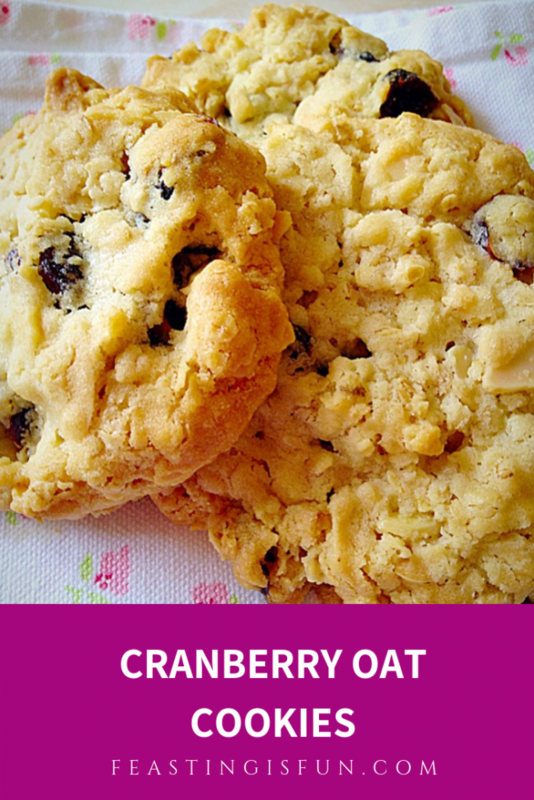 This allows the Cranberry Oat Cookies to firm up. Cookies and milk – the perfect combination. Store the cold cookies in an airtight container and eat within a week. Since one of my best friends has been unwell recently, a fresh delivery of Cookies will be just the boost she needs. 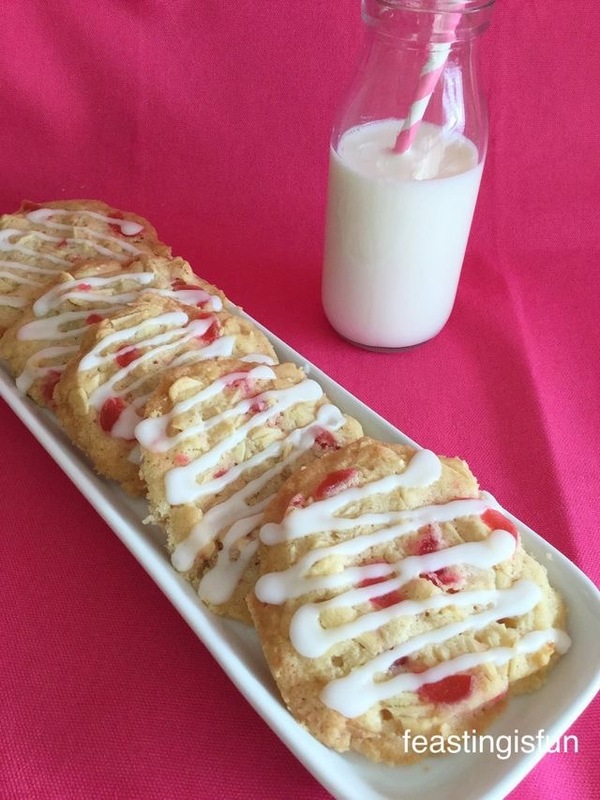 As a dear friend, who also has a sweet tooth I know she will enjoy these. 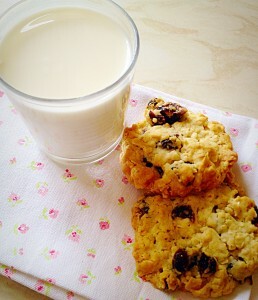 So I can stop by for a cuppa and chat while sharing these cookies. Because food always tastes better when it’s shared! Who will you share your Cookies with? Yum! I wonder why I don’t bake more cookies. It’s not that much time you need for it. You are right Chris. It doesn’t take very much time. I seem to have got out of the habit lately. I’m going to fix that by baking these cookies this week. 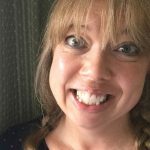 Next Next post: Am I Being Silly About Silicone?